The new iOS is certainly an impressive update. The new upgrades to the various apps, the many performance fixes and other amazing features make the updated software a must get. However, it is not without its faults. The new software is usually faced with problems that result in a slower performance. Users like us are therefore not able to fully enjoy the latest features iOS 11 has to offer. A lot of iOS user wonder "why is the new iOS so slow?" So here is a list of things that you can do to really give a boost to your iOS and make the most of it. But before that, let us compare iOS 12 with iOS 11 and see which one is faster. iOS 12 vs iOS 11 – Which Is Faster? In terms of speed, both iOS 12 and iOS 11 are quite the same. They both show quick response time and as such perform very similarly. Nevertheless, iOS 11 is a bit ahead of iOS 12 when it comes to booting. iOS 11 boots a little faster than iOS 12 and performs faster in some respects. iOS 12, in contrast, exhibits more speed with the camera app and unlocks faster along with providing better fluid animations. When you update, deleted things can be synchronized from other devices and iCloud automatically by the default setting. You’d better check the settings to prevent this happening. 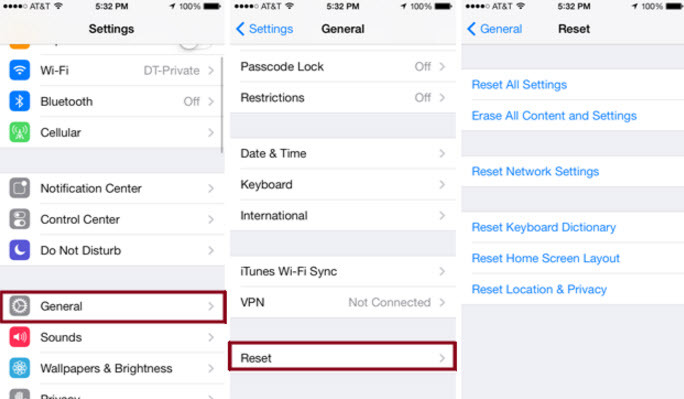 It’s suggested to reset your iPhone by going to Settings > General > Reset > Reset All Settings. This is a classic tip that has helped many iOS developers to fix iOS 12/11 Laggy issues. But this overhauls all your preferences and forgets your passwords, you may lose some important files during resetting your iPhone,so you'd better back up your iPhone before resetting. 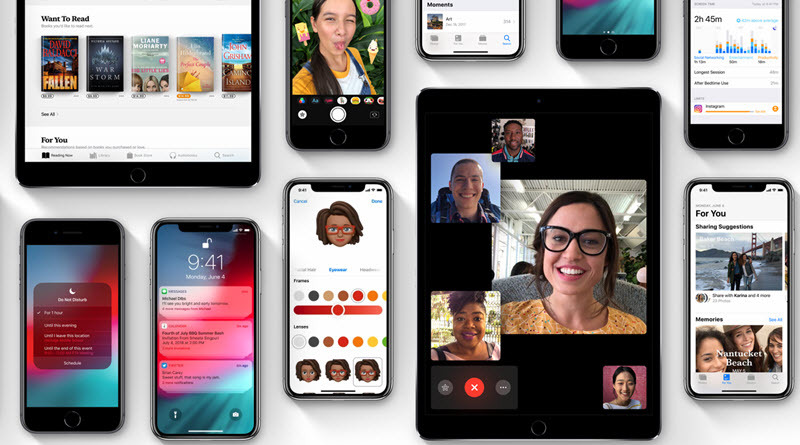 Generally speaking, iOS 12 uses more RAM in your iPhone to bring convenience to users with many new features, and you need to free up more space to fix slow iOS 12 iPhone. Purchasing bigger iCloud space can be costly, and for hidden caches or other junk files, manually deleting them is impossible. Now, you can try this free solution - iMyFone Umate Pro or iMyFone Umate Pro for Mac - to clear up iOS 11 caches, corrupted & junk & temporary files, so as to improve iOS 11 performance, you'll pay nothing for it. iMyFone is trusted by thousands of users (every year) and reported by well-known medias, like macworld.co.uk, Makeuseof.com , Cultofmac.com etc. To use the free function of deleting junk files, you just need to follow the steps below. When you download the program and run it on your computer, you will be prompted to connect your iPhone to the computer via a USB cable. Once connection is established, iMyFone Umate’s home interface will show. Step 2. Scan your iPhone to analyze how much space can be reclaimed. 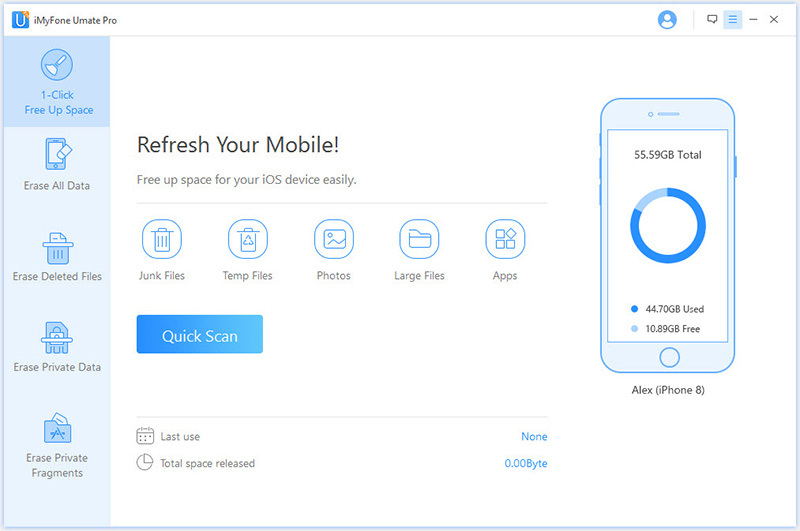 After clicking “Quick Scan”, the program will scan your iPhone for junk file, temporary files, lossless compression, photos, large files and apps. Space can be saved by cleaning any of these categories as shown respectively after the scanning process. Step 3. Click the "Clean" button beside the "Junk Files"option and reclaim more space for your iOS 11 running. Junk File Clean-up - Clean up all the hidden junk files, including app caches/cookies/temp files/crash logs etc. Clearing Temporary Files - Temporary files can be easily cleared by iMyFone Umate in several minutes. Lossless Photo Compression - Original photos will be saved in Backup Folder automatically and then 75% of your photo space can be reclaimed. Selectively Photo Deletion - You can preview and choose multiple unwanted photos, then mass delete all in 1-click. All original photos will be backed up on PC automatically. Detecting & Deleting Large Files - All videos above 5MB will be found out. The program will back up and then deleted the selected videos from your iPhone! Flexible App Management - It will rank all the apps on your iPhone according to the space they take up, including the app itself and the incidental files. Browse the app list and choose those you won’t use to delete. 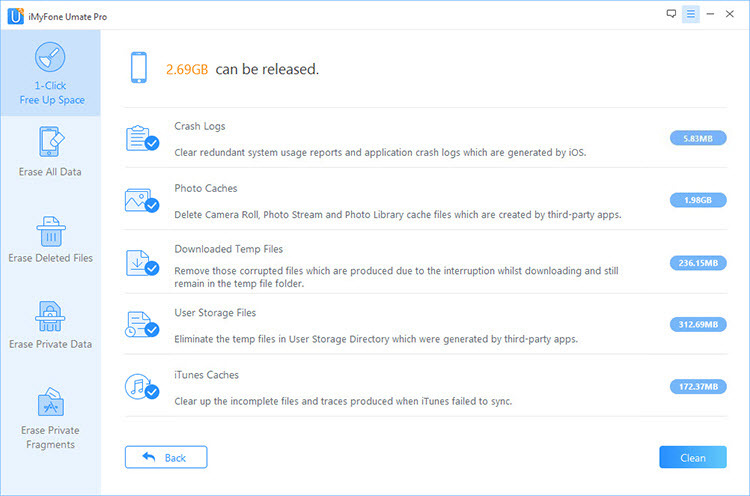 Permanently erase sensitive iOS Data - Erase not only current personal files but also previously deleted private files, all iOS file types supported, and the erased data is 100% unrecoverable. Trick 1. Turn off auto-updates: This auto-updating feature will make your apps stay up to date with many new features and less bugs. Usually app size varies from dozens of MBs to a hundred GBs, and updating these apps in the background will surely occupy much more RAM thus dragging down your iPhone speed, especially when a bigger iOS 12 is running. Trick 2. Deactivate motion effects: The screen motion effects are not essential in improving user experience, as opposed to a slower responsive speed. You can check Reduce Motion option and inactivate this feature to make iOS 12 faster. Trick 3. Clearing up running apps frequently: When you switch from one app to another, you think the app is closed. However, they are still running in the background for instant access. Too many apps running at the same time can make iPhone iOS 12 perform badly. Trick 4. Reset Network Settings to Fix iOS 12 Slow InternetResetting your network settings can boost your internet’s speed to some extent. You can reset your network settings by going to Settings -> General -> Reset -> Reset Networking Settings. Tap confirm. Trick 5. Manage iOS 12 animation related issues iOS 12 has certainly got a number of different features in terms of animation. This makes the iOS run slower than usual. However, there is an easy to way to get yourself through this problem as well. All you need to do is go to Settings -> General -> Accessibility -> Reduce Motion -> Turn on. Trick 6. Optimizing iMessage to allow more efficient use of iPhone’s resources iMessage has a lot of new features such as upgraded stickers and emojis that can eat up most of your phone’s memory. You can adjust the usage through Settings as well. Go to Settings -> Messages -> Low Quality Image Mode -> Turn on the Low Quality Image Mode. Trick 7. Decrease the number of widgets on your home screen. iOS 12 has got a great deal of widgets with amazing features. However, having a lot of such widgets on the home screen can give your phone a hard time in terms of performance. Therefore, remove the ones that you do not need much and only keep those that are necessary. For all those methods above, of course, using a software should be more effective and that's the most simple way. More or less, other methods have some disadvantages. 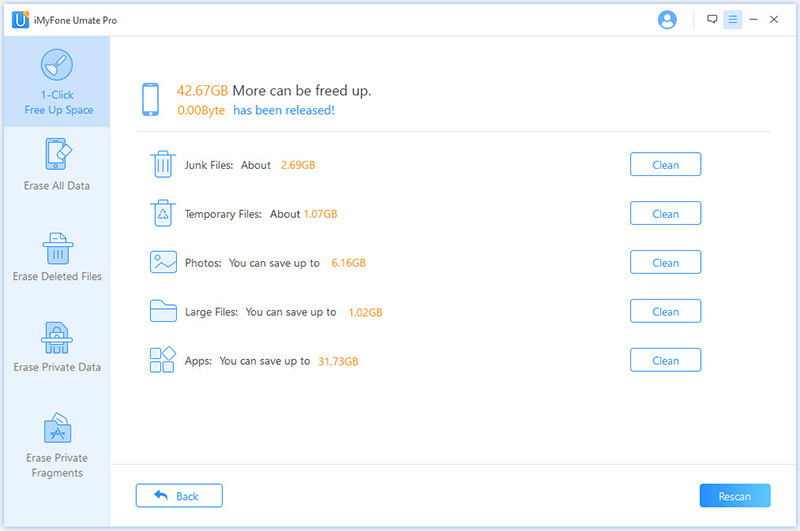 Save space and improve performance by compressing photos losslessly rather than restricting iPhones beauty and needlessly clearing apps all the time. With Umate, just one click does the trick. My iPhone is running iOS 9.2 and I want to make it run faster, I will try your methods. So long article, but i’d say that it explain all in detail.